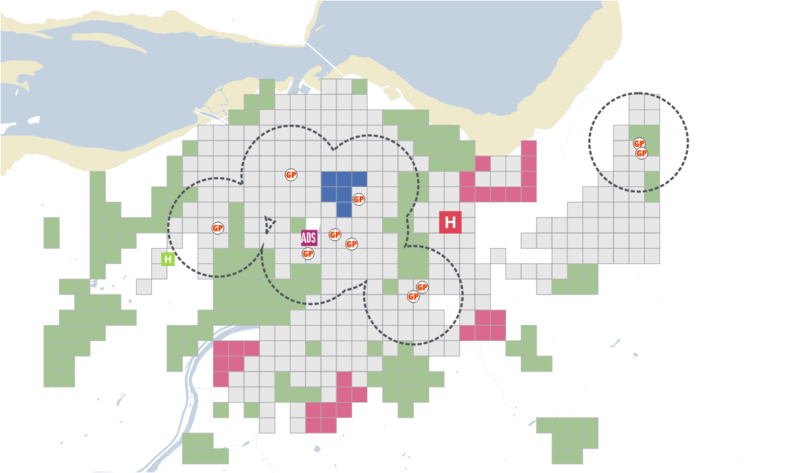 WMUD were appointed by Architecture and Design Scotland as part of the Inverness City Vision study to carry out a mapping exercise looking at the effect of local development planning approaches on the healthcare estate – the integration of health facilities and development planning. 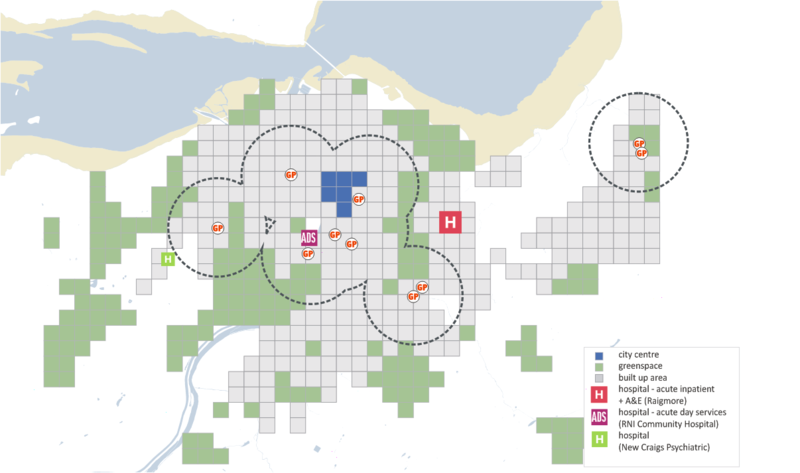 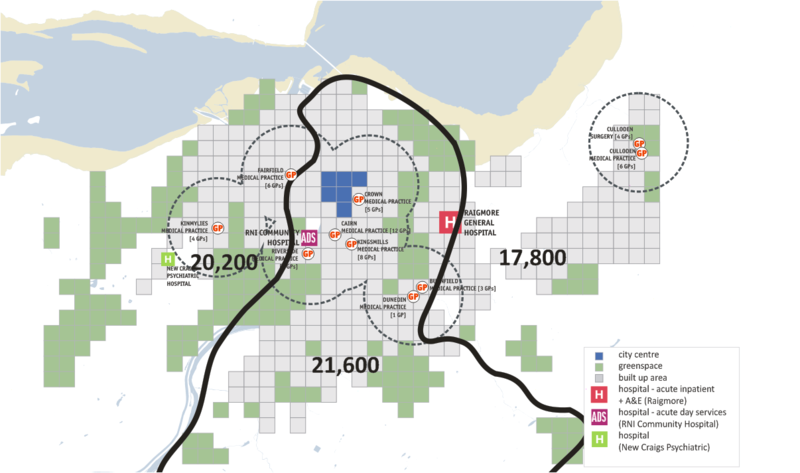 The paper, published by A+DS here, modelled the city healthcare facilities against a range of development scenarios using GIS. 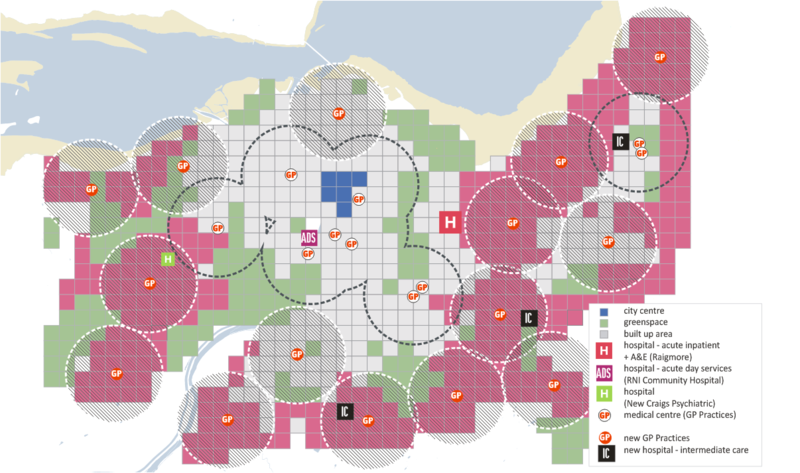 The first part of the study mapped the City’s population distribution against existing healthcare facilities, analysing ease of access to the provision. 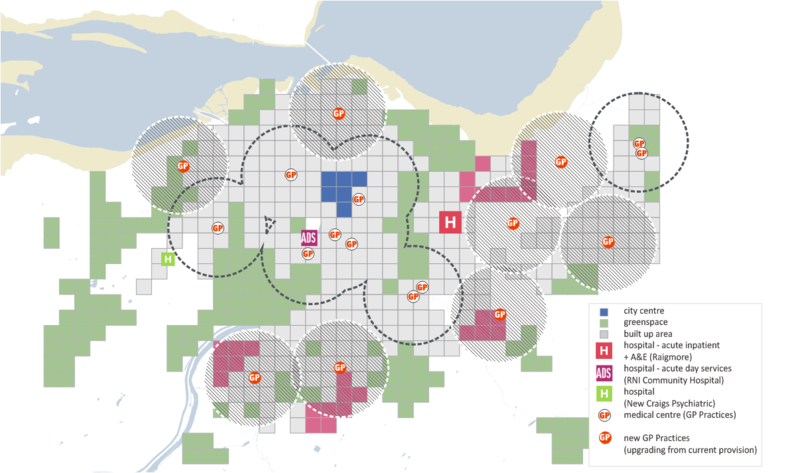 The second part of the study looked at the infrastructure requirements of three city scenarios considered during the City Visioning and Local Development Plan process, to help understand the impact on public sector service provision (and the public purse) of different development planning strategies. 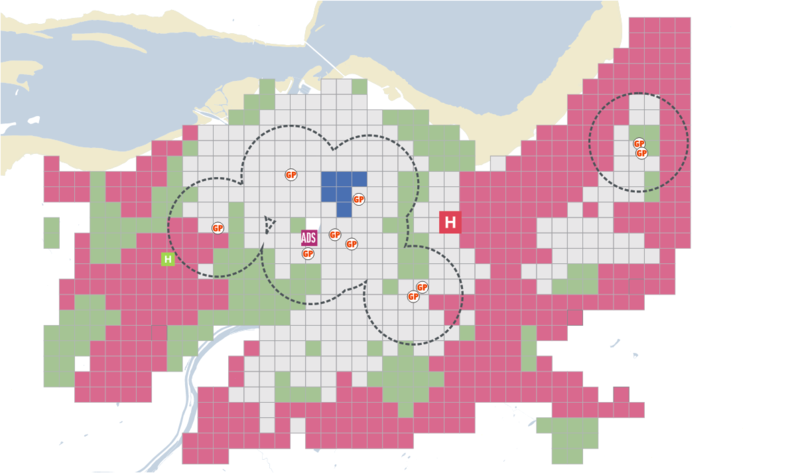 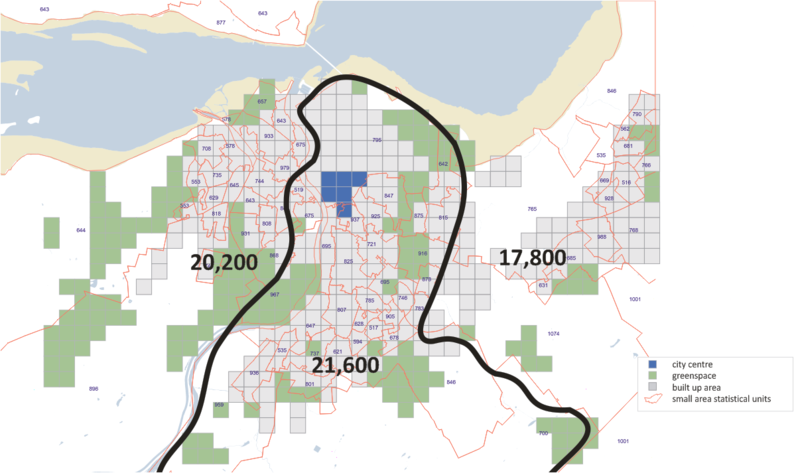 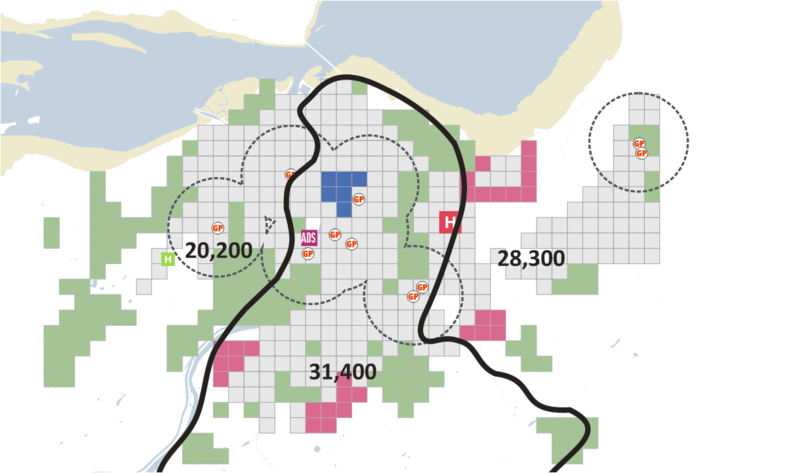 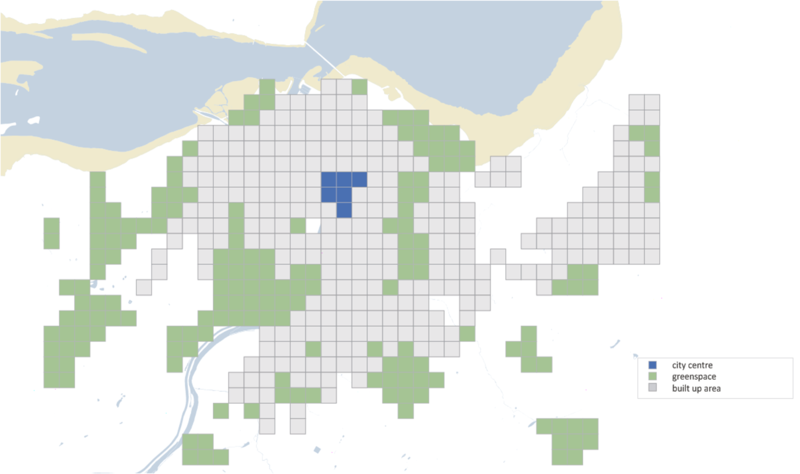 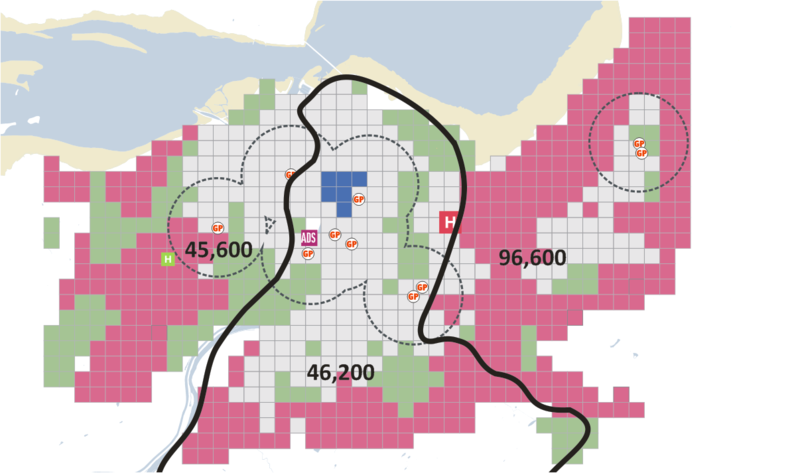 Although the mapping shown here relates solely to healthcare facilities, similar effects might be anticipated in relation to other public service infrastructure.